Dimensions 41" x 21" x 9"
Are you busy for months, do you need some fun or recreation? Then there is a solution for you. Call your friends around and go for sailing a boat or fishing. The Sea eagle 9 offers you everything you need on such a trip. The sea eagle kayak is inflatable, a multipurpose boat that can be used for yacht tending, fishing, mild whitewater rafting and general motoring or rowing around lakes, rivers, and bays. The sea eagle se9 has the simplicity to use, simple to set up, lightweight and compact to hold. The Sea Eagle 9 is a stable, durable, and versatile inflatable boat having the requisite qualities of being a lot of things for a wide variety of people. This makes it ideal for folks or people who need a simple to set up a boat for fun or fishing. The Sea Eagle 9 is great fun for rowing. It’s comfortable for fishing, and it’s able to handle a bit of stormy weather. The sea eagle inflatable boats are multi-tasking to many people. 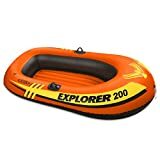 This boat is now included with a high pressure up to 3 psi vs. historical less than 1 psi (pressure per square inch) inflatable floor and seats. The seats are removable. The sea eagle inflatable kayak is equipped with I-beam reinforced and assembled with their own prior high strength potential nylon fabric sheath. Its lightweight, cost-efficient, inflatable fishing boat holds up to 4 persons. 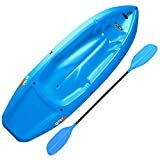 The inflatable kayak is super durable and works great with small gas or electric motors. The fisherman’s dream packages are; SE-9 hull, SE-9 inflatable floor, SE-9 motormount, foot pump, A.B-254 oars, Carry bag, 1-inch high fishing inflatable seat, 4-inch high rowing inflatable seat, small repair kit, and instructions. Take descent care while using and after use to have the best performance. We have warranty issues; 1 year for parts and read carefully for other details. Question : Is the interior actually only 2' 4" X 7' 6"? Not really sure but seats about 3 adults with fishing poles and cooler that took it out on the bay does really nice in semi-rough waters and wind with 3hp gas motor, I like it! Question : How does the sea eagle compare or consider to the intex mariner (heavy duty) in quality and material? Mariner 4 is a MUCH better kayak or boat (Triple-Ply 30-gauge PVC), even the Excursion 5 is a better value (30-gauge PVC) and 1/4 the price. If you are suffering for long time business, then this is time for you to go on a hung out with friends or family. The Sea eagle 9 motormount fishing boat is waiting for you. So, get one and set on. 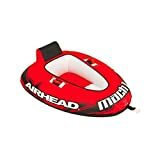 It is a multi-purpose inflatable motor-mount boat. The inflatable fishing boats are simple to set up, lightweight and compact to carry. 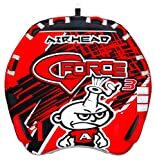 It has a high strength protective nylon fabric sheath. The inflatable boats can carry out 4 persons. It can run on small gas or electric motors. For more versions and details, please search; inflatable canoe, sea eagle 330. Grab rope on bow ; Welded oar locks; U.S. Coast Guard I.D. 6 How Does a Pedal Kayak Work?